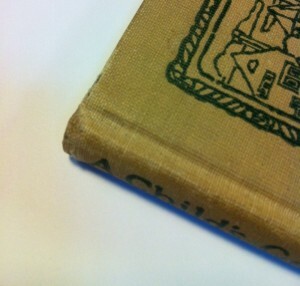 This book came to me with the cover boards intact, the edges badly frayed, and the joints worn and weak. 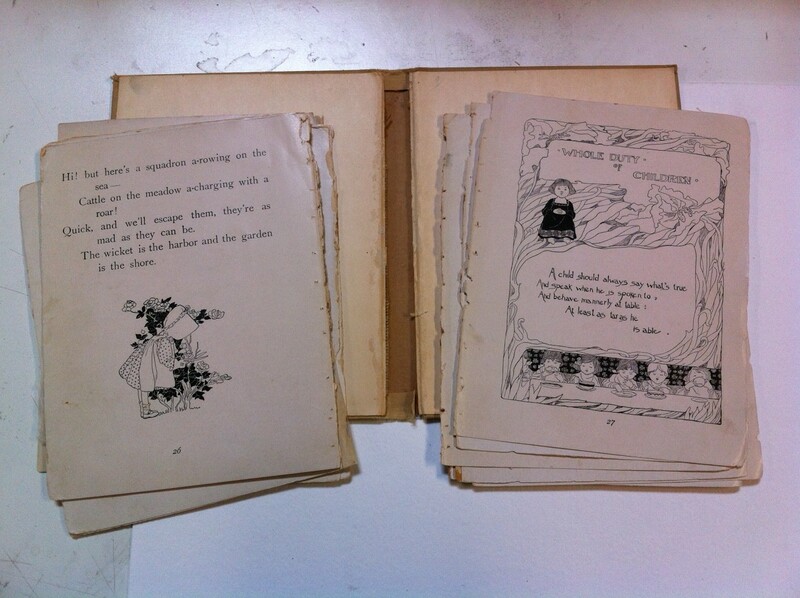 There were loose pages and the entire text block–formerly oversewn and signature-sewn–was detached from the covers. 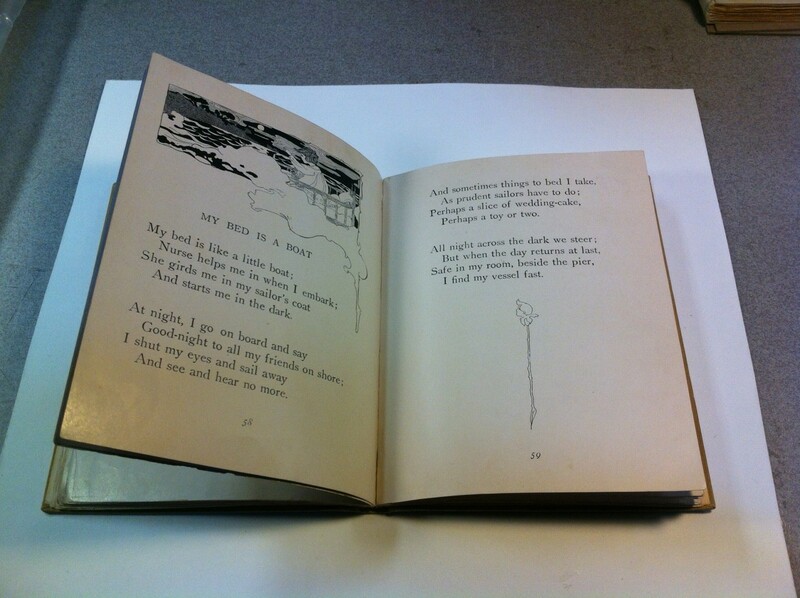 After guarding the loose pages with strips of tissue, I longstitched the signatures together and rebuilt the text block. 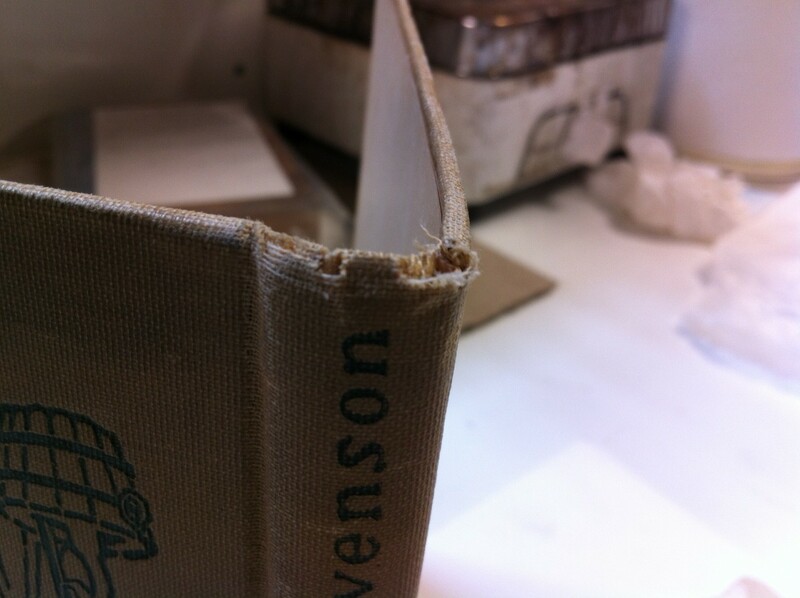 I reinforced the weakened cloth in the joints and filled in the frayed edges with matching cloth from the inside. 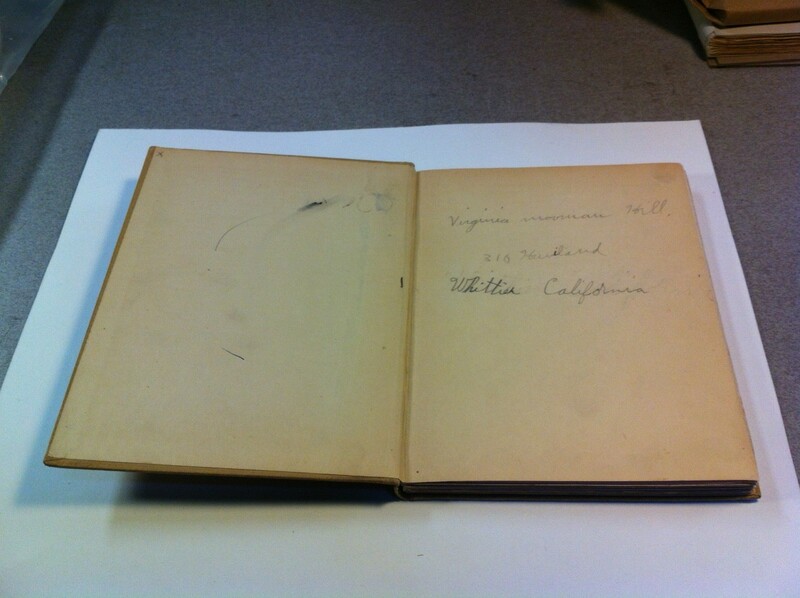 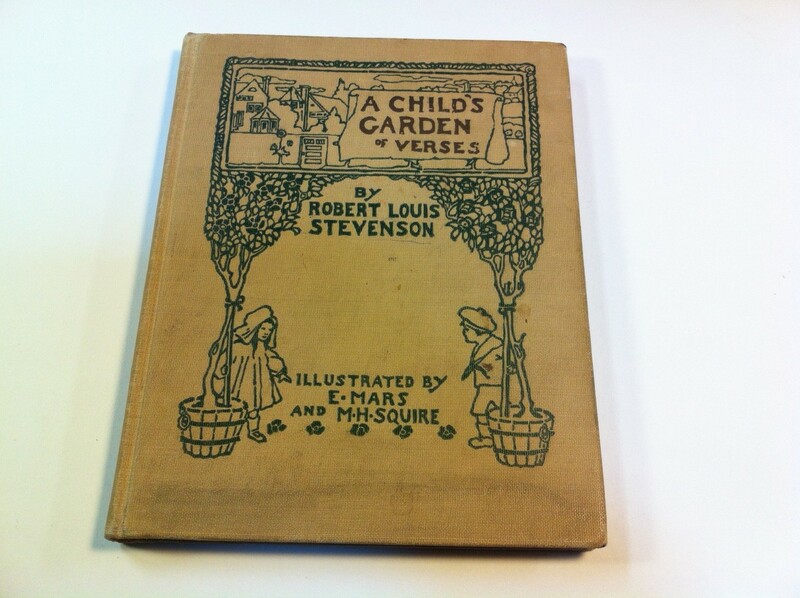 The original endsheets were still in good condition and the client wanted to preserve the inscription.